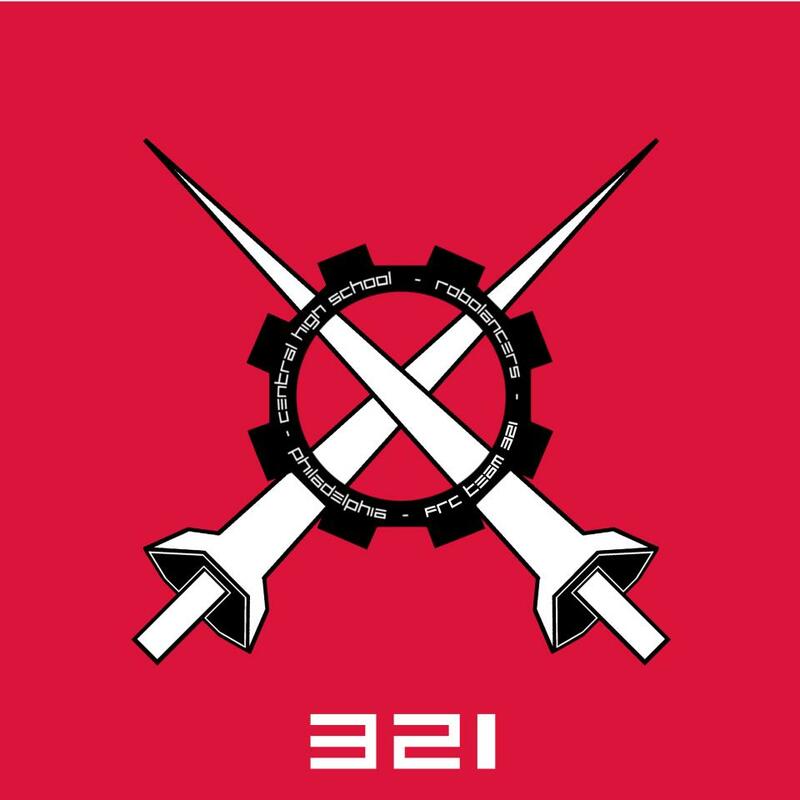 Posted on February 20, 2015 February 23, 2015 by Brian C.
PHILADELPHIA, FEBRUARY 23, 2015 — Central High School’s two FIRST Tech Challenge (FTC) robotics teams will join hundreds of students from across Pennsylvania, ranging from 7th–12th grade, at Millersville University on February 28th for the 2015 FTC Pennsylvania State Championship Tournament. In this year’s exciting game, “Cascade Effect,” 36 teams will face off against each other in an alliance format. Winners of the FTC Pennsylvania Championship will advance to the Eastern Super-Regional — and finally to the World Championship. Off the field, teams will also compete for the Inspire Award and other judged awards. Five Philadelphia teams that competed at the Philadelphia League Championship at Central High School on February 7th qualified to go on to this state championship. These are the Central High School RoboLancers Gold and Crimson teams, the Northeast High School N.E.R.D.S, the Edison High School Robo Owls, and the Freire Charter School RoboDragons. For months, the robotics teams have been hard at work designing, building, and programming their robots from scratch. The robots are remotely operated and are constructed by students using robotics system kits with basic tools and equipment utilizing professional mechanical techniques and creativity. “Cascade Effect” involves 160 white plastic balls with robots seeking to score points by placing the balls into rolling goals. FRC teams had just six weeks, starting in January, to design and build their robots to play this year’s game, “Recycle Rush.” Objectives of the game include stacking large plastic totes, placing recycle bins on top of those stacks, and placing pool noodle “litter” in the recycle bins. During the first 15 seconds of each round, robots operate autonomously, following commands that the students have pre-programmed. Then for the remainder of the match, students operate the robots in real time via remote control. All FIRST tournaments are free and open to the public. For more information on the FTC state championship see http://www.ftcpenn.org/. 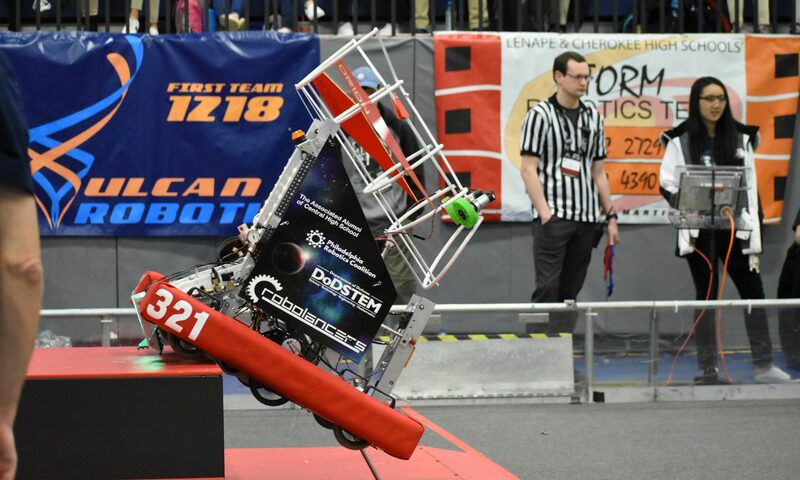 For more information on the FRC district tournaments, see http://www.midatlanticrobotics.com/event-schedules/. The Central High School RoboLancers is a FIRST Robotics Team founded in 1999. Starting with a small classroom of students, the team has now has grown to over 100 members. In addition to competing in multiple levels of competitive robotics events, the RoboLancers have helped mentor many teams across the Philadelphia region, including Girls High School, Independence Charter School, G.W. Carver High School for Engineering and Science, and Martin Luther King High School to raise awareness for the need of STEM education and occupations within Philadelphia and around the world. The RoboLancers have won many awards such as the Engineering Inspiration Award and traveled to the 2013 FIRST World Championship in St. Louis, Missouri.